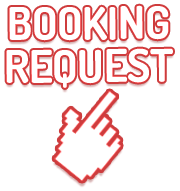 Before you arrive – Be Pest Free! No fresh food, plants or animals are to be brought to the Island. Check that your clothes, footwear and all luggage are free from pests including seeds, soil, ants and rodents. Don’t forget to check socks, pockets, shoe laces, soles of shoes and Velcro fastening. Please bag and bin any pests found (including soil and seeds) – do not drop on the ground. Stay on the marked walking tracks to avoid spreading weeds across the Island. Please bag and bin any pests found (such as seeds) and report findings to LEIER staff. Volunteer your time to the LEIER Revegetation Program to plant native trees and remove weeds. Please help us protect our beautiful Island. Together we can make a difference! 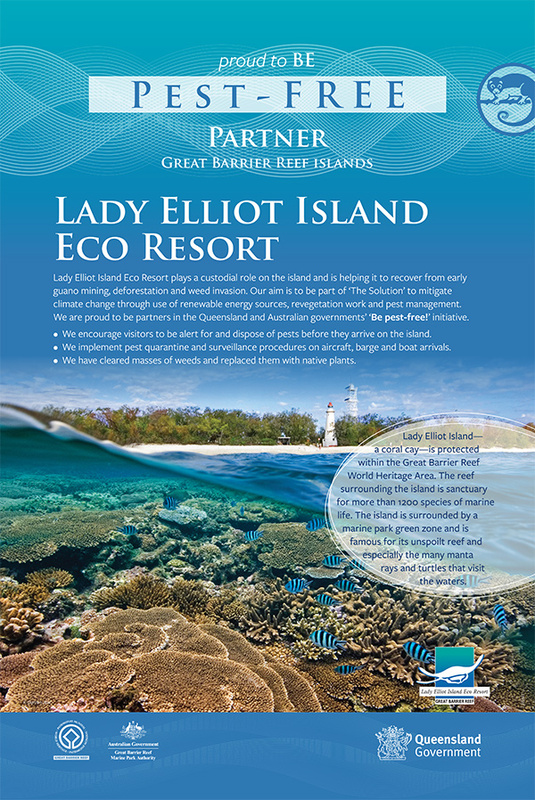 The World Heritage listed Great Barrier Reef Islands like Lady Elliot are internationally important. However, the isolation and small size of many islands make them vulnerable to impacts from pests which can easily hide hitch a ride from the mainland or other Islands on people’s clothes and shoes, food, luggage, equipment and supplies. A pest is any species that occurs beyond its normal environmental range. Pests can be mammals (rats and mice), insects (ants, geckos etc), birds, plants (and their seeds), amphibians (Cane toads) and even bacteria and fungi in soil. Australian native species can also be pests when they occur outside their normal range. Pest plants are often referred to as "weeds" and pest animals as "feral animals". Weeds can quickly colonise disturbed areas, pushing out native species making it easier for other pests to take hold. This can decrease habitat for native species such as birds that need certain vegetation types for nesting and protection of chicks. Introduced insects including ants, can cause the large-scale destruction of vegetation. Larger fauna such as Rats can predate on species, such as seabirds and their eggs, putting even further pressures on already threatened populations. Introduced grasses can burn with more intensity, increasing the damage caused by wildfires. Under Queensland’s new biosecurity legislation, everyone including staff AND guests must play their part to protect island biosecurity and to take all reasonable and practical steps to ensure a pest is not introduced to the Island or spread to other areas. What is LEIER doing about Pests and Biosecurity?